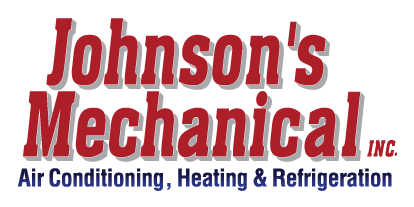 Commercial Air Conditioning, Auburndale, FL | Johnson's Mechanical Inc. Commercial Air Conditioning, Auburndale, FL | Johnson's Mechanical Inc. Call on us for full service on commercial air conditioning systems in the Auburndale area. Commercial air conditioning is not the same as a residential system. It has to hold up under much more strenuous conditions, for one thing. That is why, when you need advice or service for your commercial air conditioning system, you need a company that has experience with these more complex systems. Since 1982, our experts at Johnson’s Mechanical Inc. have provided high-quality commercial air conditioning services in the Auburndale, Florida area. We are a state certified HVAC and refrigeration contractor, and we are also licensed and insured. In addition to serving your regular commercial air conditioning needs, we also offer 24-hour emergency service when you have an urgent need for help. We understand that it is not possible to conduct business when your air conditioning is not working. It isn’t a safe environment for your staff or your customers. It can also be detrimental to your inventory and business assets because, along with the lack of cool air, humidity levels increase, which can lead to mold and other issues. Because we recognize the urgency, we make sure to fully stock our commercial air conditioning service vehicles, so our technicians can usually make the repair with just one visit rather than leaving to get the appropriate parts. We also provide maintenance plans for our commercial air conditioning services because we know that proper regular maintenance means fewer breakdowns and lower cost repairs overall. Whether you need commercial air conditioning installation, replacement, maintenance or repairs, call us first, and with our high level of service, we are confident you will be more than happy you chose us.